The IBuyPower Masters IV tournament has come to an end with Team liquid emerging as the victors. This is a significant step up for the North American squad as they look to building their roster for 2019. 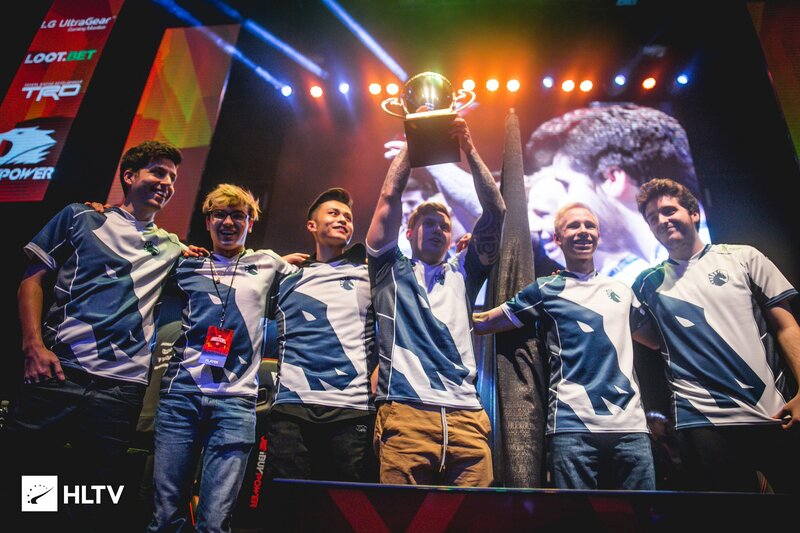 The Team Liquid roster has seen significant changes for 2019 with a new player, Jacky “Stewie2K” Yip and Eric “adreN” Hoag ( coach ) joining the team. These changes ensured that they have a fully North American squad, one which was capable of competing with the world-class teams in Counter-Strike Global Offensive. The Grand finals itself saw Team Liquid start off with a very poor beginning for the series. They hardly had any impact on the first map [ Inferno ] against Astralis. Despite Inferno being Team Liquid’s map pick; Astralis never allowed Team Liquid to settle and use their grenades and set smokes. They were always pushing through various parts of the map. If Team Liquid played aggressively in one section of the map; Astralis would push through on another section of the map. They would gain valuable information on the final setup for the round and it would help them adjust their positioning to have an optimal result. Glaive had a phenomenal performance on the map and was topping the scoreboard for Astralis. The second map of Dust 2 was very even. Both the teams were trading rounds for most of the first half. However, Team Liquid took the lead in the latter stage of the first half. With the puggy nature of Dust 2; Stewie2k definitely had a huge impact on the map. He was able to win several aim-duels providing Team Liquid with the entry frags and often the much-needed boost to the rounds. Team Liquid was able to have an excellent start to their CT side. They reached the score of 15-6; from where it was nearly impossible for Astralis to make any mistake. Team Liquid won the map 16-11. The third map saw Astralis dominate the first part of the map. They were up 7-0 on Overpass, which was slightly reminiscent of their dominance on Inferno. For many casters and fans, it seemed to be yet another Astralis victory and one more trophy to their cabinet. However, Team liquid never gave up and was constantly trying to edge their way back into the half. They did have a few strong rounds and they were able to break open the Astralis economy. The first half ended in a very decent 6-9 in favour of Astralis. However, once they moved to the CT side; Team Liquid seemed to have Astralis’ number. They were constantly able to take down multiple Astralis members. With coordinated pushes through various parts of the map and an exceptional showing by NAF on Overpass; Team Liquid emerged as the victors. Going into this event Astralis led 24-4 on maps vs. Liquid. Astralis and Liquid (with Taco) played in 10 bo3/bo5 series in 2018, Liquid lost all 10. Out of the 14 events Liquid attended in 2018 with Taco, Astralis knocked them out of 6 of them (5 of which were in the Finals, the other was the Semi-Finals at the FACEIT Major). Liquid played 47 bo3/bo5 series in 2018 with Taco. They won 28 and lost 19. Of the 19 series losses, 10 were to Astralis. So over half their bo3/bo5 series losses in 2018 were from Astralis. Overall Liquid had a 78-55 map record offline for 2018 with Taco. Of those 55 map losses, 24 of them were from Astralis (This means ~44% of their total map losses offline were to Astralis).